Sage Spirit is a companion to Sage Words, both illustrated collections of poetry and spoken word pieces that gracefully capture the vulnerability and imperfection that make us beautiful. Each page is lovingly filled with hand-lettered poetry, giving each poem its own experience to ease us out of our minds and gently place the focus on our hearts. Sage Spirit is a playful and colorful mosaic of life experiences—the places we’ve been, the people we meet, the things we love; feelings of happiness and sadness, tops of Rocky Mountains and rock bottoms, moments of spontaneous elation and unexpected surprises; smiles, hugs, kisses; the walks we take, the stories we read, Sunrays and Sundays—that when combined, are what make us unique individuals. Sweet words from a sage and savvy spirit. Full of wit and wisdom. Jet Widick’s thoughtful poems, set to beautiful one-of-a-kind illustrations, wrap you in hope, humor and encouragement. They bring perspective to life’s everyday problems and big questions, all with a note of understanding. If you need a reminder to stay appreciative, to check in with your self-confidence, or to ignite creativity for your next idea, check in with this book. Open any page and feel the boost! 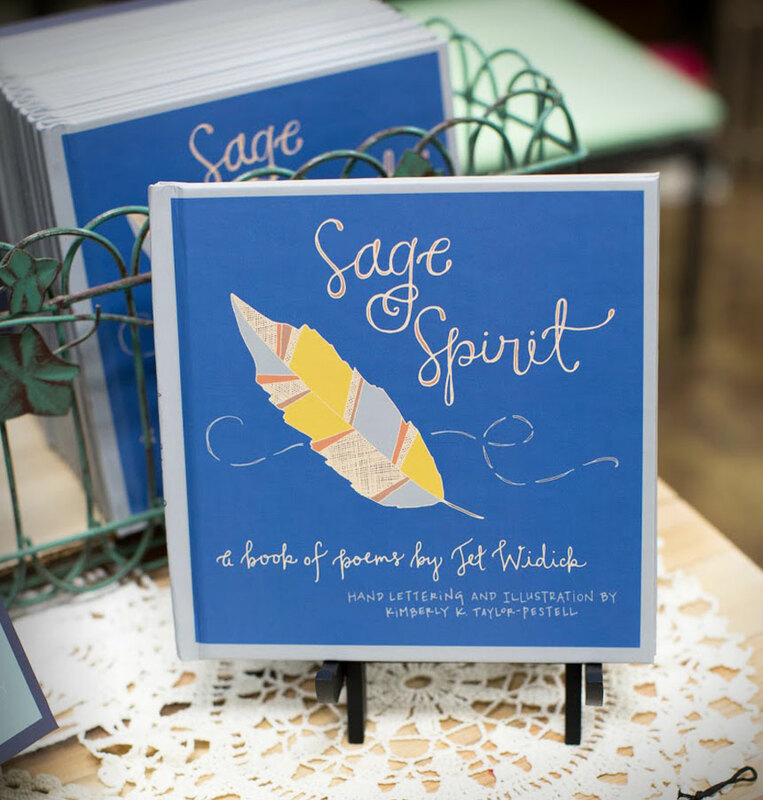 Sage Spirit is a book of art with words to match. Truly felt and meaningful. It will bring a smile to your heart—morning, noon or night.